If you are going for the chance to have a viral video (a video shared so fast it becomes like a viral infection- it’s a pretty ugly comparison but this term is actually catching on and will probably enter dictionaries at some point) you should try reaction videos. These types of videos are probably the easiest to make and do not require special knowledge or a lot of time to produce. Reaction videos are funny and people can easily identify with them. If the reaction is funny, these videos get shared a lot on social media. These videos are ideal for beginners. However, you are probably required to show your face on the camera which might not be easy for some people. Tech videos are also very popular on Youtube. People are trying to inform themselves about the newest technology or they might want some personal opinion from someone who already used the product. Tech reviewers are one of the fastest growing channels in the last five years. 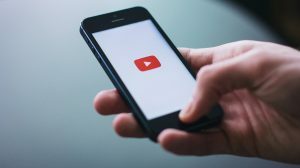 Another aspect of this type of videos is to solve tech problems that people might be having with their devices. And as technology ranges from smartphones to cars, there is no shortage of products to review, try out, and talk about. There is always someone out there who wants to know about certain products. Gaming is another huge field on Youtube. This platform has also presenter gaming. 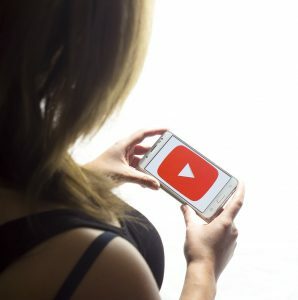 YouTube, in recent years, has been competing with Twitch (online streaming service, mostly populated by esports gamers and viewers). Gaming videos can range from game walkthroughs to reviews all the way to solving problems with games (bugs and glitches as they are known). Streaming a game on youtube can also be a great idea. Many people tune in to watch high quality players show their genius. Vlogs (video logs) emerged from blogs (web logs) and people produce these vlogs talking about various subjects. Some are about beauty and makeup, others are about cars and fixing stuff around the house. Some of them are about traveling or books. The subject range is basically limitless, yet everyone knows when they see a vlogger, they are not formal and they let you see them as a person and not like an employee of some company they work for. Many vloggers upload videos every day as they actually film their daily lives for their audiences. Vloggers can build a huge following from all around the world. And after you monetize your channel, all those views translate to money. On your way up to vloggers stardom you can make use of sponsored videos and product placements.